Except for Oasis, Africa is the most zoo-like area of the park. The vast majority of the area is taken up by two animal attractions: the safari trip and a self-guided exploration trail. Location: Back-left side of the park. Gorilla Falls Exploration Trail A self-guided tour with more animals from the African continent. 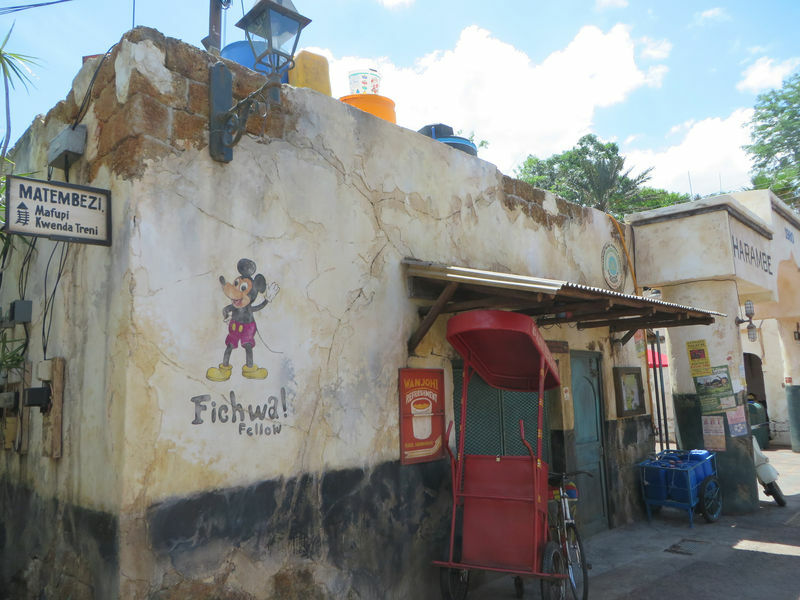 Kilimanjaro Safaris Tour the African savannah, seeing animals and having a bit of an adventure. Festival of the Lion King A kinetic acrobatics, dancing, and singing festival presided over by Simba. Dawa Bar Full bar with open-air, covered seating. 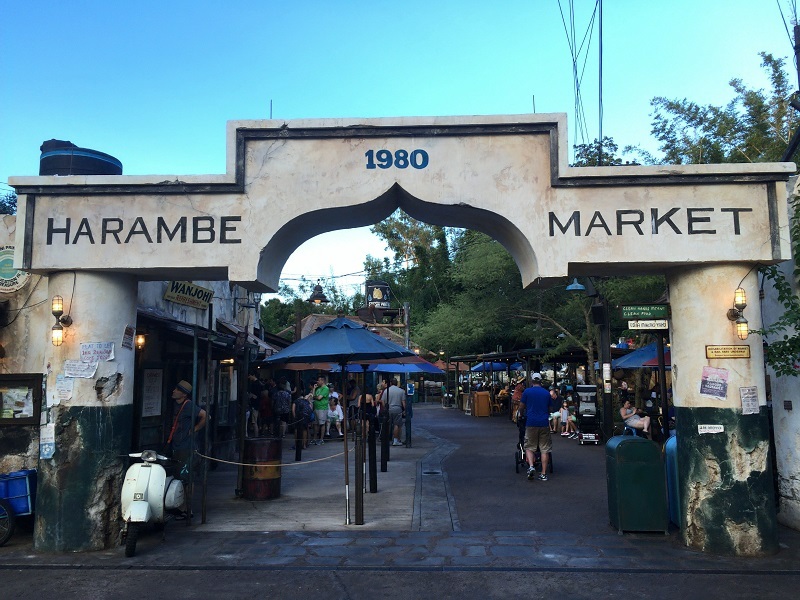 Harambe Fruit Market Fresh fruits and drinks. Kusafiri Coffee & Bakery Coffee drinks and pastries. Tusker House Donald's Dining Safari breakfast and lunch character meal, buffet dinner. Duka La Filimu Camera supplies. 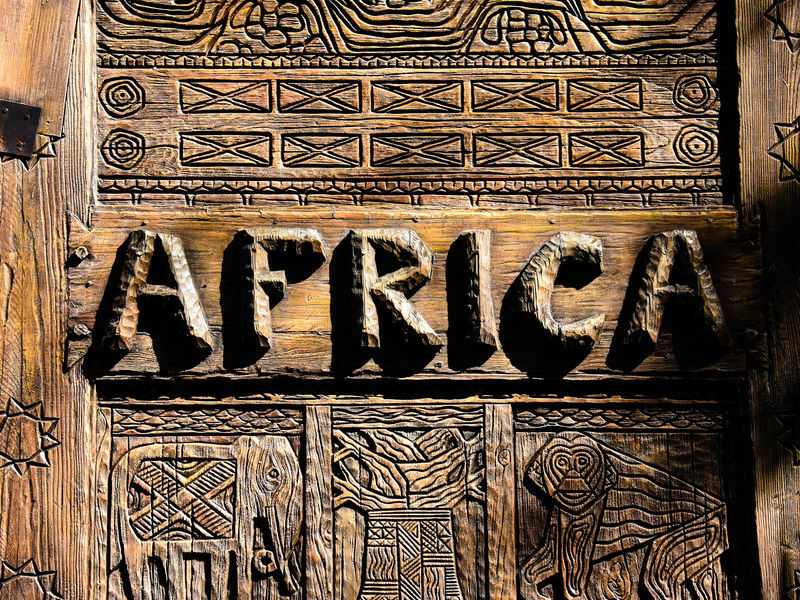 Mombasa Marketplace African-inspired art and hand-crafted gifts, safari-themed clothing, and plush. 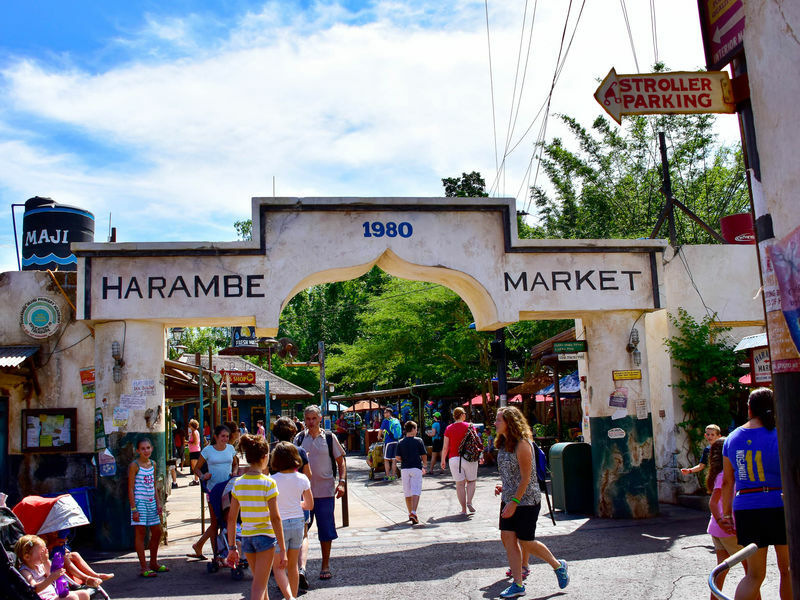 Here you will find a list of selected rides, shows, or restaurants that have been removed fromAfrica, never to return. Mickey's Jammin' Jungle Parade A kintetic parade starring the Fab Five as well as stars from more recent animated features. Tarzan Rocks Tarzan and Jane put on a kinetic show.